We have so familiar with the publisher NetEase. Although the two games Knives Out and Rules of Survival still very successful, recently, this publisher has officially announced to launch a game like PUBG on mobile called Quantum Special Attack. Two previous games have achieved a lot of success, becoming one of the best selling mobile games around the globe. Also, on the market today it is not difficult to find a PUBG mobile version. Therefore, players hope Quantum Special Attack Players will bring something new, more attractive in the future. 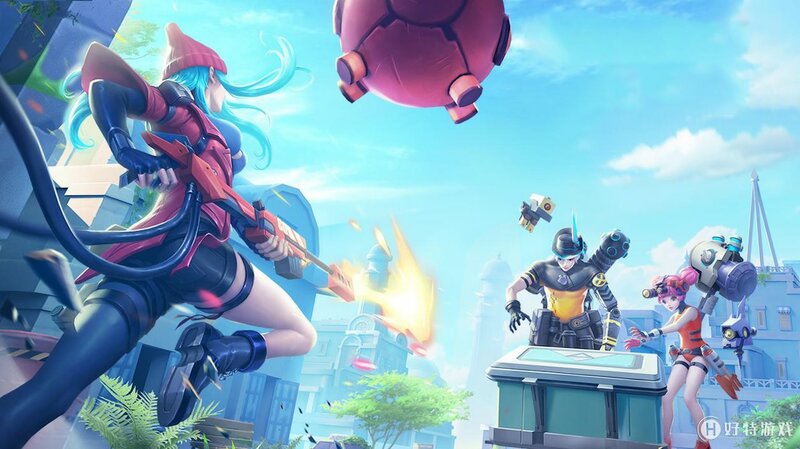 Many people call Quantum Special Attack is a game that combines PUBG and Fortnite mobile versions. That right. This game still owns the shooter style like PUBG, but added to it is a bit of a survival game. You are still enjoying a match on a large map. You face hundreds of other online players, participating in the battle of life and death. In this game, the winner is the last survivor. So you have to find ways to survive. The other players are like you. Moving properly, avoid the danger. Besides, your shooting skills are very important; it will help you win the confrontation. I was impressed with the new feature in Quantum Special Attack. Not only collecting weapons and shoot guns like other PUBG games, but it also allows you to pick up materials such as wood, stone, iron, etc. to build bases or defence system. It helps you fight the enemy. This will make the battles in the game more fun and varied. Besides, you will not depart from the aircraft. You will start the fight in any part of the city such as roads or buildings. The game also has a lot of characters. You can customize your outfits, hairstyles, looks, … to create different characters. When playing, I often choose the female character because female characters are usually smaller in size, harder to hit. And besides, I’m also a man. Quantum Special Attack has cartoon graphics, not realistic as previous games. This brings a whole new experience to the players. You will not think this is a battlefield because the context of this game is quite peaceful, bright colors, pleasant feeling. Currently, the new game only supports two languages: Japanese and Chinese. Therefore, many players will find it difficult to access and master the manipulation. However, the illustrations of the game are quite understandable and detailed instructions. Hopefully, the publisher NetEase will support more languages, especially English. Quantum Special Attack helps you become a true soldier. Many interesting battles and difficult quests are waiting for you in this game. Knives Out and Rules of Survival have reached hundreds of millions of players around the world. Does Quantum Special Attack succeed like previous two games? Quantum Special Attack APK is ready to download! Depending on your needs, you can download Quantum Special Attack MOD APK or Quantum Special Attack Original APK. Or install from Google Play / App Store if you want.